Who doesn’t love to have long and thick hair? But, in reality, it is quite difficult to achieve thick and luscious hair. And there are chances that your hair may even look dry, thin, and flat. Though a lot of chemical treatments are available to make your mane bouncy, but in the long run, it can prove to be harmful to your mane. So, in order to avoid this hair condition, we have suggested some effective tips to make your hair look thicker. This tip does not require much effort or any special equipment. All you need to do is part your hair on the opposite side from your usual side which will simply add volume to your hair because the parting hair on the same side every day makes your hair flat. So, use this tip to add instant volume to your mane. Another best solution to add bounce to your hair. All you need is divide your hair into sections and then roll it with the rollers and leave it on for 20 minutes. 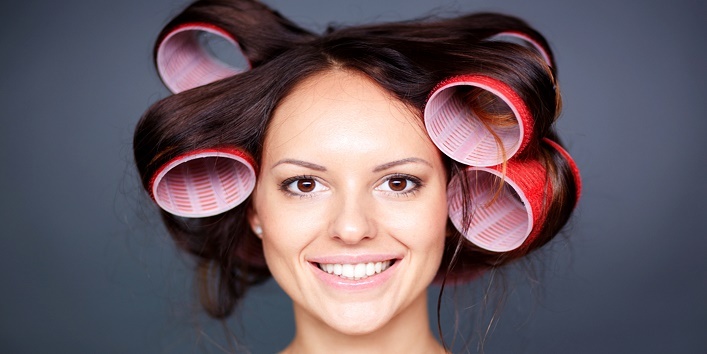 After that, remove the rollers and comb your hair slightly with your fingers. 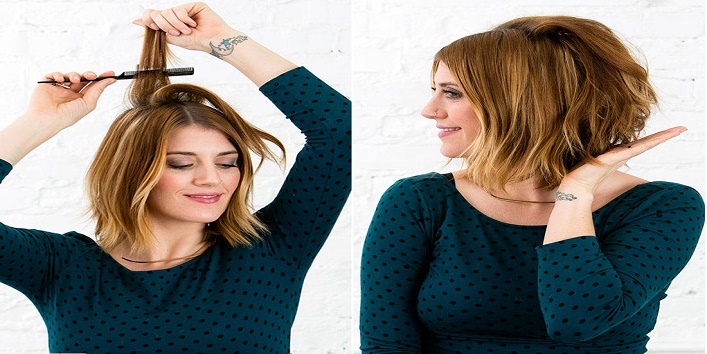 Dry shampoo can also help you get voluminous hair instantly. Just spray some dry shampoo to your scalp and blow dry. Still, it is suggested that you should avoid using dry shampoo on daily basis. It is suggested that while drying your hair try to put your head down and always start from the roots to tips. This simple tip will help you to get thick hair in just a few minutes. This simple tip does not require any heat. Still, it manages to add volume to your hair and leaves you with natural soft waves. So, here is how to use this tip. After taking shower, tie your hair up and form a loose bun when your hair is slightly damp. Use this tip before you go to sleep and don’t forget to secure your bun with an elastic band and leave it overnight. Next morning, remove your bun and get wavy and thick hair. Backcombing doesn’t mean to comb your harshly and creating tangles. It simply means to comb your hair softly to add volume which requires a lot of patience. So, before using this tip, divide your hair into sections and try to emphasize more on the roots. Yes, it’s true. You can add bounce to your hair by simply reversing your hair washing process. All you need to do is to apply conditioner before applying shampoo to your hair. This simple tip will not only add volume to your mane but will also make it silky and smooth. This is the best solution for those who have greasy hair. Greasy hair has the tendency to make your hair look thin. So, to tackle this issue, it is suggested to apply some baby powder to your mane and gently comb which will automatically add bounce to your hair. So, these were the few tips to make your hair look thicker.